America has always portrayed itself as a country of immigrants, welcoming each year the millions seeking a new home or refuge in this land of plenty. Increasingly, instead of finding their dream, many encounter a nightmare—a country whose culture and legal system aggressively target and prosecute them. In Targeted, journalist Deepa Fernandes seamlessly weaves together history, political analysis, and first-person narratives of those caught in the grips of the increasingly Kafkaesque U.S. Homeland Security system. She documents how in post-9/11 America immigrants have come to be deemed a national security threat. Fernandes—herself an immigrant well-acquainted with U.S. immigration procedures—takes the reader on a harrowing journey inside the new American immigrant experience, a journey marked by militarized border zones, racist profiling, criminalization, detention and deportation. She argues that since 9/11, the U.S. has been carrying out a series of systematic changes to decades-old immigration policy that constitute a roll back of immigrant rights and a boon for businesses who are helping to enforce the crackdown on immigrants, creating a growing "Immigration Industrial Complex.” She also documents the bullet-to-ballot strategy of white supremacist elements that influence our new immigration legislation. 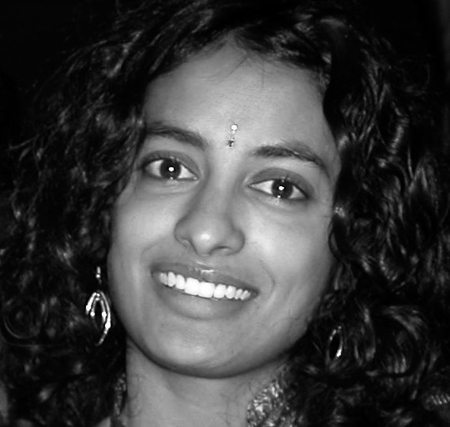 Deepa Fernandes is the former host of the popular morning show “Wakeup Call” on Pacifica radio station WBAI in New York City. Her award-winning radio features have aired on the BBC World Service and Public Radio International, and her writing has appeared in the Village Voice, In These Times, and the New York Amsterdam News. 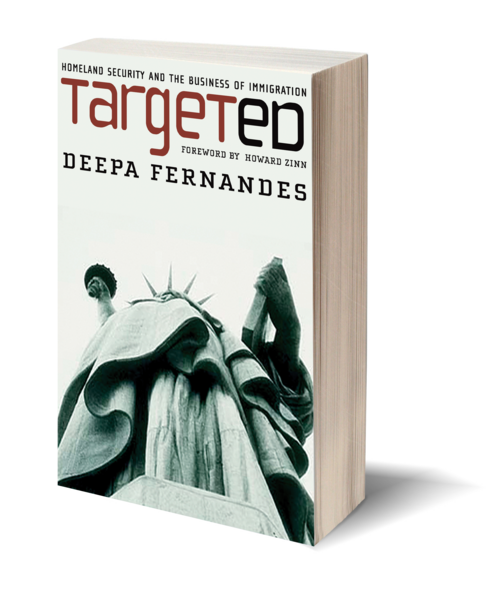 Her first book, Targeted, was the result of four years of research collecting narratives from immigrants as well as human rights groups, community organizers, and lawyers caught in the Kafkaesque web of the U.S. Homeland Security system. Fernandes lives in New York City.